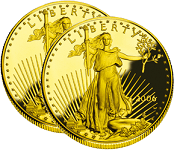 Which type of Gold American Eagle coins are best to put into a Gold IRA and why? This week the Gold Guru talks about popular Gold IRA coins – bullion and proof versions of Gold American Eagle. Find out more about each version of the coin here. If you have a question for our Gold Guru, don’t forget you can get them answered by emailing goldguru@www.birchgold.com. A recent study reveals 1,250,000 Americans became millionaires last year. But the joyous headlines betray the sobering reality that $1 million is no longer what it used to be. What does $1,000,000 really get us these days? And what can we do to ensure that our wealth will continue to get us the same TOMORROW? Find out here. What is a Gold IRA custodian? At Birch Gold Group, we receive a lot of questions from people who are unfamiliar with retirement savings options beyond their employer-sponsored 401k. So what are other retirement options available and how does gold fit into the picture? How do I buy gold with my IRA? This week our Gold Guru discusses how you can buy gold and other precious metals with your IRA. Get all the facts here. And if you have your own questions for our Gold Guru, don’t forget you can get them answered by emailing goldguru@www.birchgold.com. 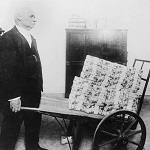 A Gold 401(k) is unique from most conventional retirement plans in that it allows you to enjoy the numerous benefits of adding physical gold to your retirement savings. But the term “Gold 401(k)” can be misleading. 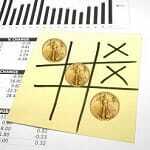 Find out here how a Gold 401(k) really works. I’m terrified of the possible stock market crash. Can I buy gold with my 401k? Why are collectible coins not eligible for a Precious Metals IRA? Today our Gold Guru discusses whether collectible coins can be placed into a Precious Metals IRA. Do you have a question for our Guru?